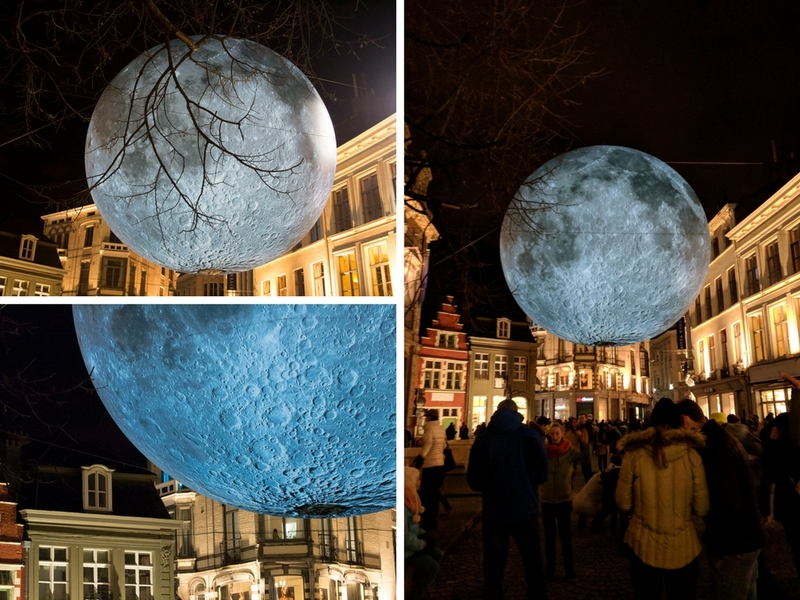 Hands up who knew that Ghent had its very own Light Festival? I sure didn’t. To be fair, it’s a blink-and-you’ll-miss-it kind of special event, taking place only every three years. But that’s just all the more reason to make the effort to go if you have the opportunity! 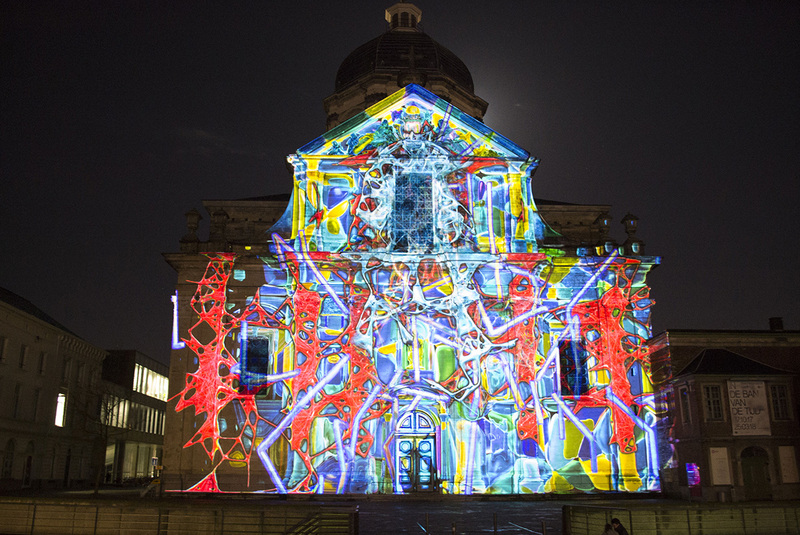 Much like London’s Lumiere festival, Ghent’s Licht Festival is spread all over the city. 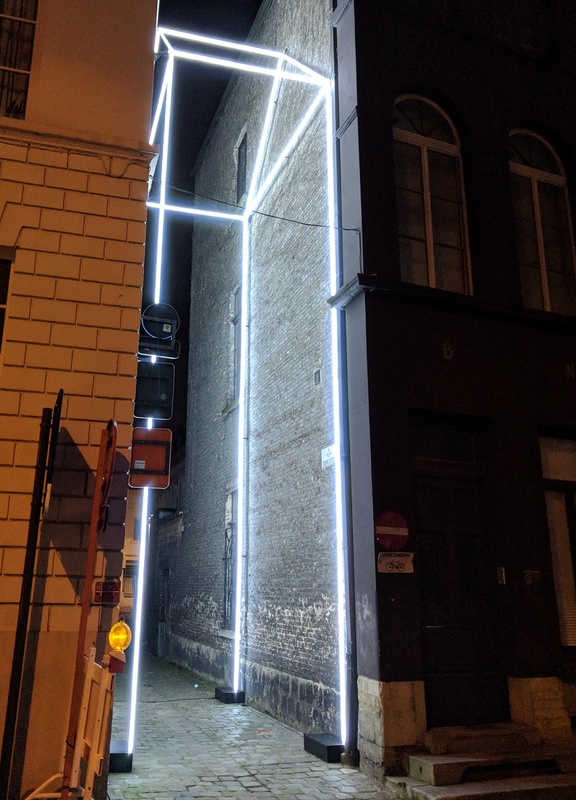 This year there were over 30 pieces of light artwork around a 7km loop, stretching out from the city centre out towards the Citadelpark and up to Huidevetterskaai. I’ve only been to Lumiere once (and that was a few years ago), but Ghent’s offering felt a lot more cohesive. That’s definitely thanks in part to the relatively small size of Ghent, as well as fabulous organisation skills which direct you around the route by way of large arrows on the screens. Endlessly helpful for those who are directionally challenged…like me. 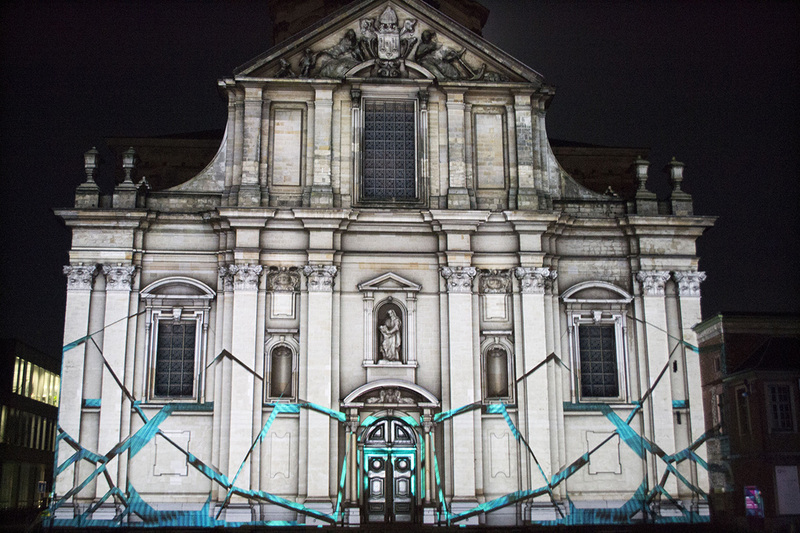 From large-scale interactive designs to thoughtful pieces of art that make you think, Ghent Licht Festival has it all. I’ve popped some of my favourite works of art from this year’s Festival below so you can see just how epic an event it is! The Festival runs until Sunday February 4th 2018, so be quick – otherwise you’ll have to just get planning for 2021! Find more information on the Festival and the artworks here. Some of my most favourite pieces of artwork were the ones which incorporated an interactive element. Take ‘Keys of Light’, for instance, which required someone to play the piano in order to work. 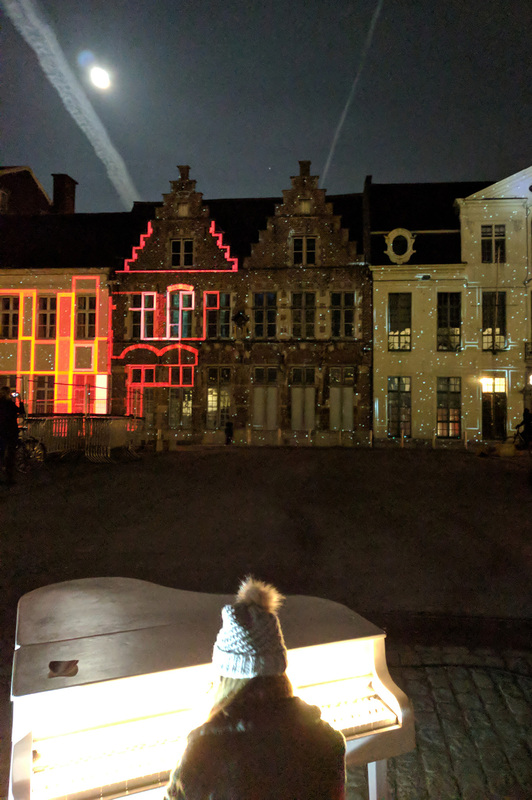 As someone played the piano, lights were projected in time onto the buildings in front. 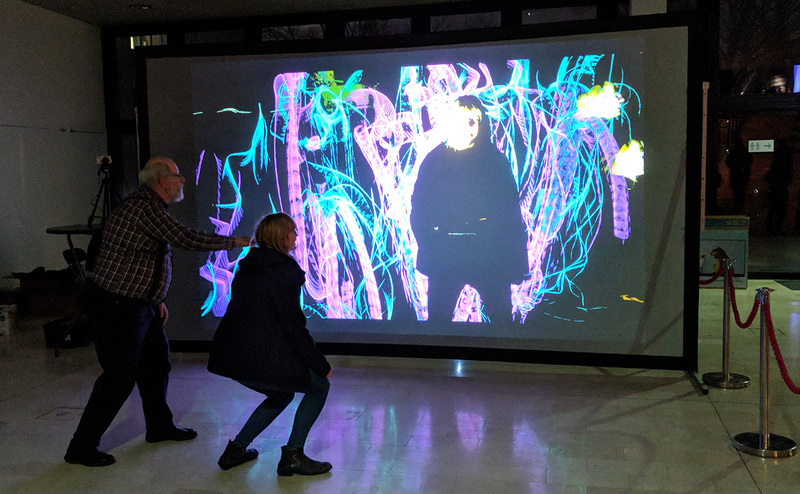 It sort of became like a dance between the sound and the visuals; the more dramatic the piece, the more colours flooded the building. This was where the Festival officially kicked off, with the mayor tinkling the ivories before a young kid jumped up and made us all feel musically inferior by bashing out a complicated classical piece. This was the runaway highlight judging by your reactions to my Instagram stories! Giving all the Game of Throne vibes, this piece involved a giant dragon swooping in, crashing down light-based buildings, and breathing fire out into the atmosphere. 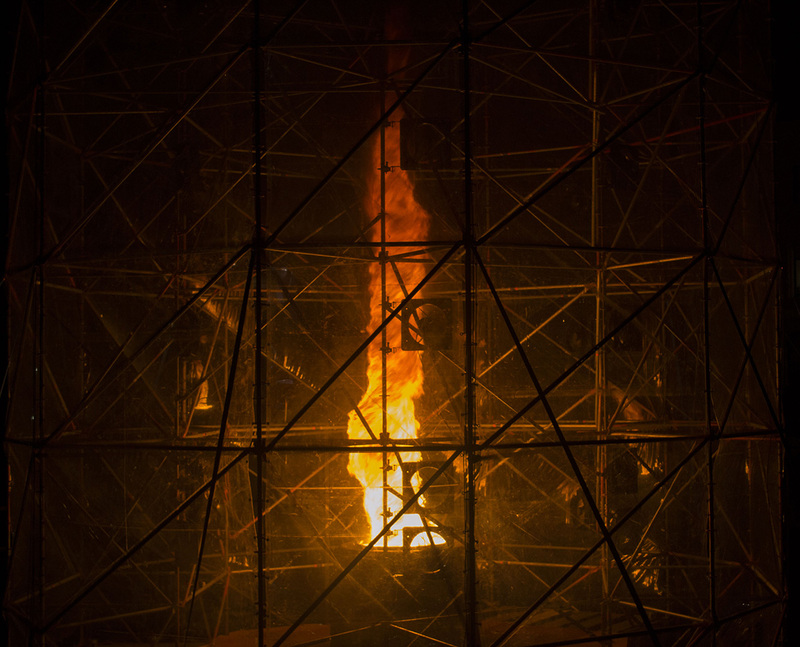 We were so impressed with this one on the media preview that we stayed to watch it twice; but that was nothing compared to watching it with the crowds, listening to them gasp in wonder as actual fire erupted from the building! The artwork is based around the dragon which has resided at the top of the city’s Belfry tower since 1377. 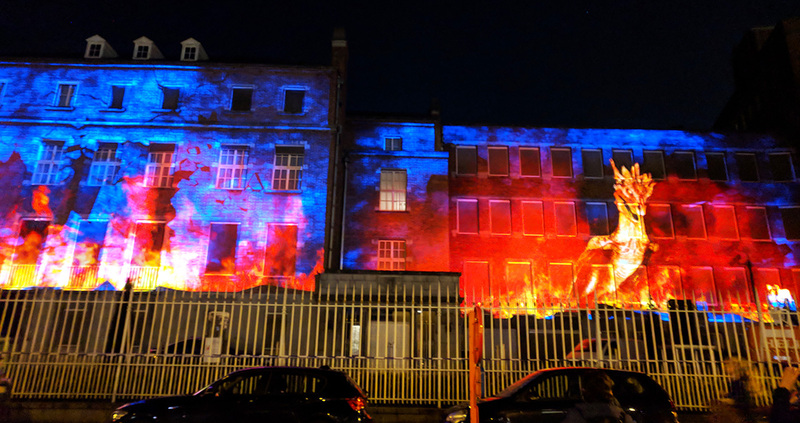 This one was built up over several levels of a building, with light projections of fire taking it over one storey at a time. It felt like a proper live theatrical show, like something you’d find at Universal Studios! It even had gigantic spurts of water from the fire engine truck parked in front. All the heroic feels. When we turned round the corner and saw this gigantic full moon hanging in the street, I took a double take. It’s so crisp and clear, it was almost like the moon itself, had dropped down just metres above our head. Emma from Paper Planes and Caramel Waffles said she saw this one in Leeds, so it might well pop up at another festival near you soon! We had to wait a little while for this one to kick in, but it was definitely worth the wait. A guy in a fire suit took a torch of fire into the carefully contained space and lit a cauldron. Once he was safely out of the way, a burst of air would whip the fire up into a towering 16-metre tornado. As unnerving as it was to see something so destructive, it was mind-blowing to witness such a powerful display in a controlled environment! 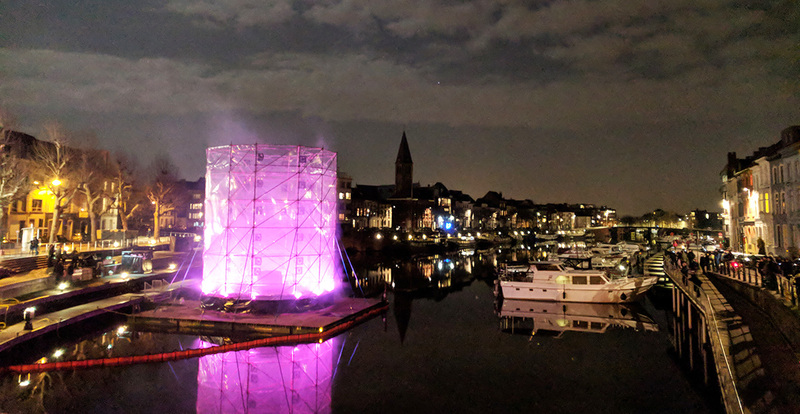 The previous few examples would lead you to believe that most of the artists are pyromaniacs intent on filling Ghent with fire…but not quite. Some of the most effective and moving pieces had simplistic designs or concepts, like ‘Missing House’ by a group of local art and architecture students. They noticed that there were several ‘gaps’ around the city where they felt a building should be, so they created this outline which squeezed into one of these spaces. From afar, I genuinely thought this one was a vending machine and got a bit excited. 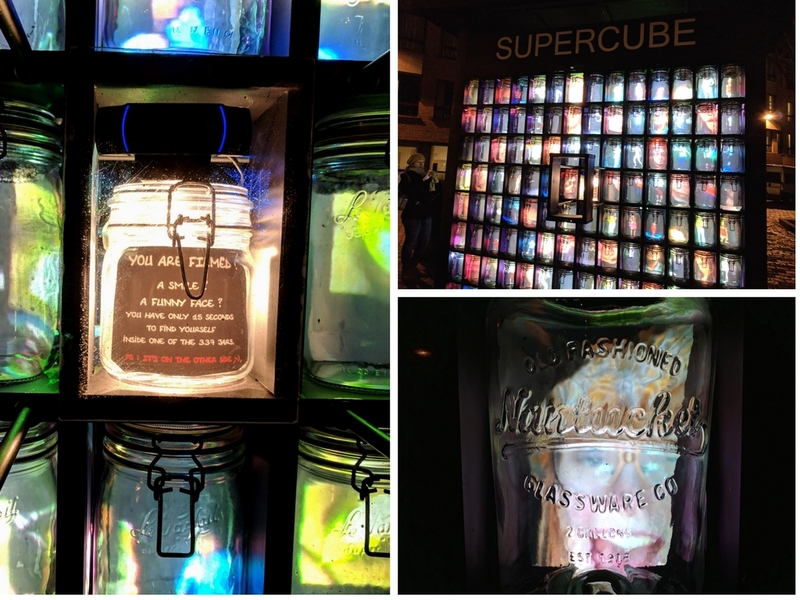 Turns out, it’s actually a piece of art (whoops), that asks you to look into a jar for a few seconds, and then find your face in one of the 448 other jars. It’s a lot easier than it sounds though. Trust. There’s a large jar on the other side which is where all the faces appear. And before you ask how I got a photo of my own face – there’s a 15-second delay between you popping your head in and your face appearing on the other side. Time Paradox at Sint-Pietersplein felt like one of the biggest spectacles of the entire loop. The performance takes audiences on a 3D journey which combines elements of architecture, music and storytelling to illustrate the paradox of travelling in time. In reality, I’m not entirely sure that particular theme was too obvious, but the 3D effects and intricate designs were enough to blow my mind away. I loved how the design used the natural shape of the building to make the effects feel more realistic. What do you think? 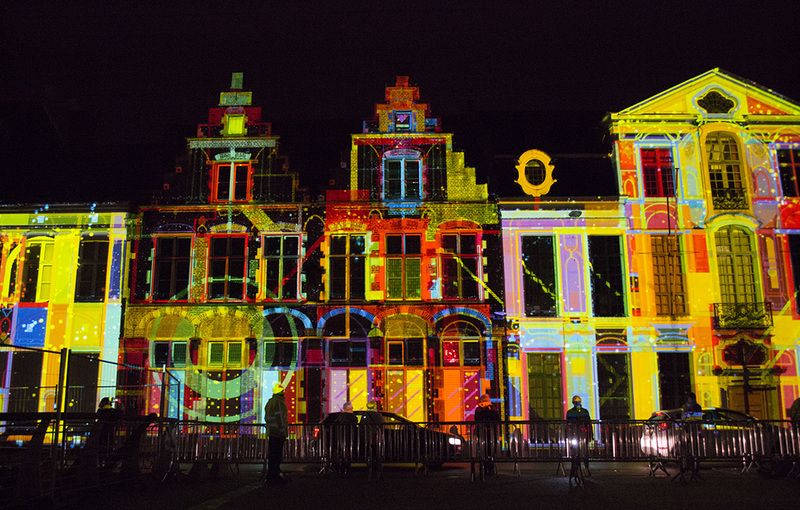 Does Ghent Light Festival sound like an event you’d be up for visiting? I was a guest of Visit Flanders on this trip, but all thoughts and opinions are my own. 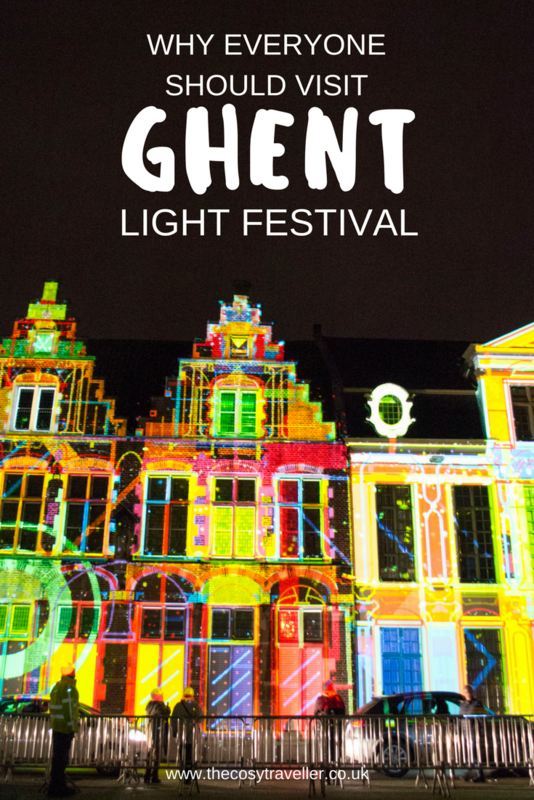 And I do thoroughly encourage you to time your trip to Ghent to coincide with the festival! A great read and some fantastic installations around the city of Ghent 🙂 What a great way to explore the city. Looks amazing. 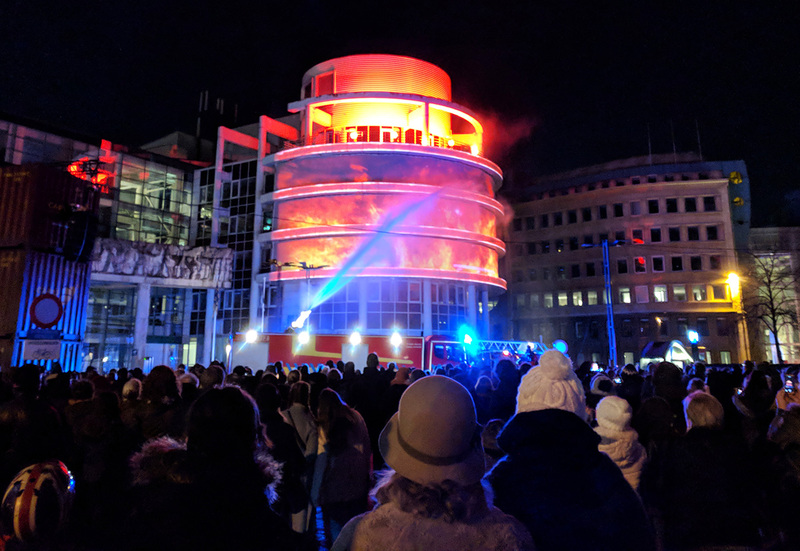 I’m completely in awe of light festivals and went to Lumiere in London this year for the first time! Wow…loved it! Ghent’s version looks superb. Shane it’s not run every year!